Budgeting for a new car is no easy task. It requires a lot of planning and saving. Sometimes, it requires some cutting back in your personal expenses. But in the end, you want to make sure it is all worth it. If you buy a car that is within your budget, you can continue to live a comfortable lifestyle. Keep reading below to see some of the ways you can make the job easier on yourself when budgeting for your new car. Firstly, research what is out there before you go to a dealership. Car salesmen are good with making you feel pressured to buy. They are experienced at giving you the best deal with a clear deadline. If you do your research beforehand, you will be able to separate reality from sales tactics. By knowing what is a good deal before working in the door, you can’t be fooled by the inventory or price exclusivity that they offer. This way, you are able to see what cars are ideal for you and your living situation. Make sure you research the individual cars, too, because some cars may be better for you than others. The KBB is a great place to start for budgeting for your car. The guide gives you prices of various car makes and models. 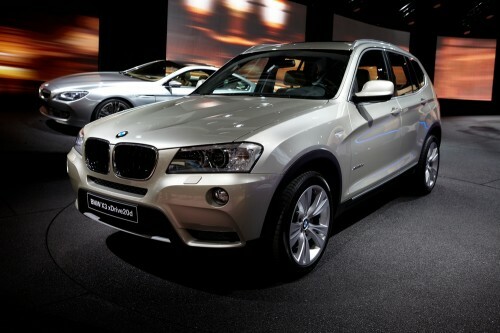 It shows you the value of new or used cars that you might be interested in purchasing. Whether you are looking for a brand new sedan or 2012 pick up truck, you can find the value in the Kelly Blue Book. Additionally, you can look for vehicles based on a price range that is within your budget. Of course, you might find a cheaper deal. However, this is a good starting point to base your budget on. Aside from doing your research, be smart about your money by determining your budget early on. It is easy to get carried away with the excitement of choosing a new car. But, the real question is, can you realistically afford it? A smart recommendation is to account roughly 10 to 15 percent of your salary to car payments, as a whole. Consider this as a starting means, and see if you can afford the car including the additional car insurance costs. Moreover, you should adjust your budget if you expect your income to change in the medium or short term. Take a conservative approach just in case something happens down the line. Make sure you are being reasonable before making a commitment to a car by checking your money first. Making a significant down payment is an easy way to make sure your monthly payments on a car, are lower. The higher the down payment, the less you will have to pay monthly in the long run. People can get caught up in high monthly payments when it comes to getting a new car, but you can avoid this problem by setting aside money and dedicated to making a down payment on your car. Additionally, it will make your monthly payments more affordable. This gives you increased monthly cash flow to maintain your vehicle. Another way to budget for your new car, consider trading in your old car. Many car dealers will give you a discount on a new car, if you trade in your old one. This is when you can go your your KBB research and make sure you are getting the best deal for your old car. To get more value, you can make small tweaks that will increase the value of your used car. According to Kansas City Auto Body Shop, “Scrapes, dents, blemishes or nicks can spoil your vehicle’s appearance while reducing its re-sale value.” After fixing up your current vehicle, ask the dealership about trading in your car. This way, you will be able to assure lower payments altogether. Budgeting for a new car is not always easy. It takes time and patience to plan out a large purchase with an upfront and recurring payments. There are several factors to consider, from research to monthly payments. You should check the KBB guide to know what you can afford. 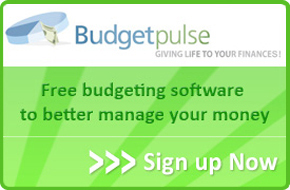 Set a reasonable budget based on your income. Then, start saving for your down payment or planning to trade in your vehicle. These are proven ways to make budgeting easier on yourself when buying a new car.